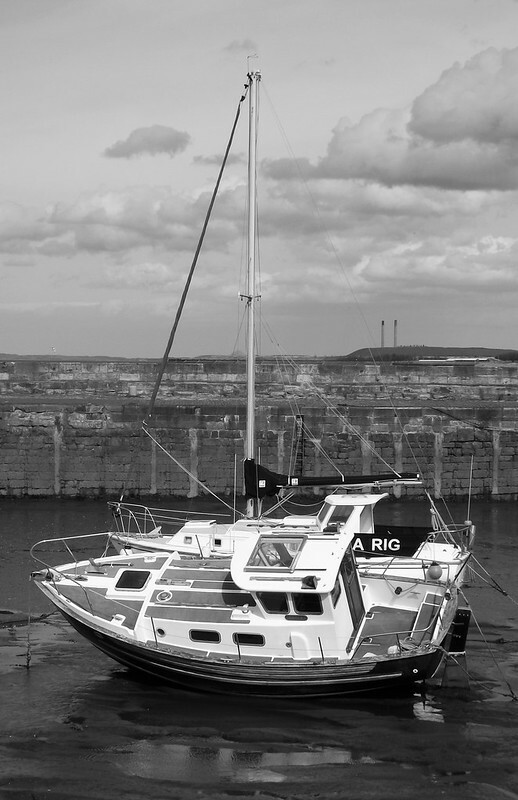 I looked up the ship, MV Finagal, and found it was an old lighthouse tender for the northern lighthouses, long retired. 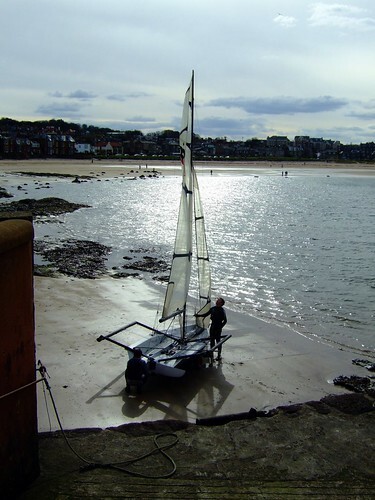 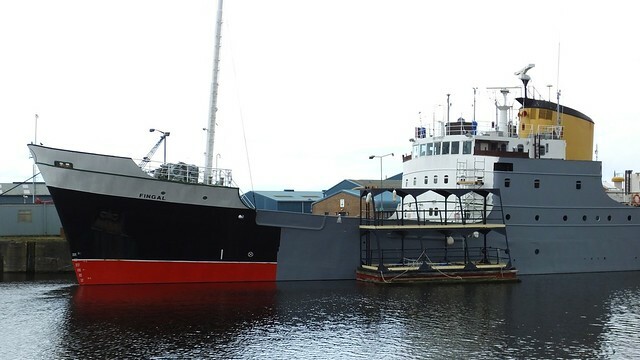 And it wasn’t just getting a new paint job as such, it was being primed for Edinburgh based artist Ciara Phillips to work on, with a modern interpretation of the WWI dazzle camouflage as part of ongoing events around the UK for the 14-18 Now campaign marking a century since the Great War. 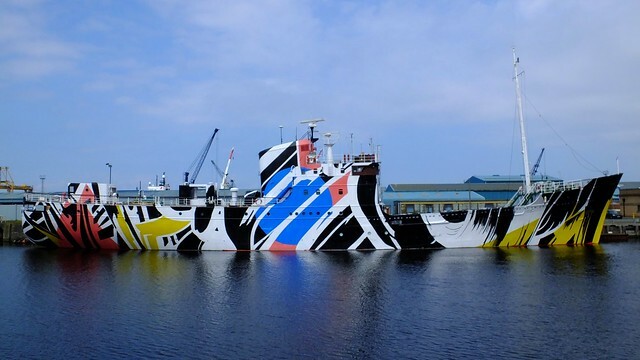 Since you can’t camouflage a ship on the high seas the way you can a tank or an infantry position on the land, the idea, developed by Norman Wilkinson, was to use vivid colours and abstract patterns (informed by then modern art) to break up the outline of vessels. 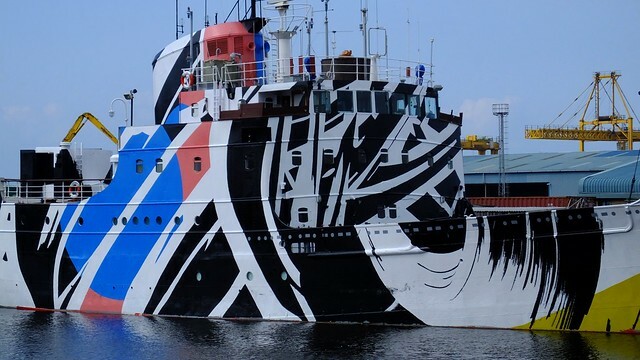 Imagine looking at this through the periscope of a U-Boat as it heaved up and down on the open seas, struggling to make out what type of ship it actually was, its size, direction, bearing, distance… I’ve only ever seen dazzle camouflage in old photographs, quite remarkable to see it on an actual vessel with my own eyes. 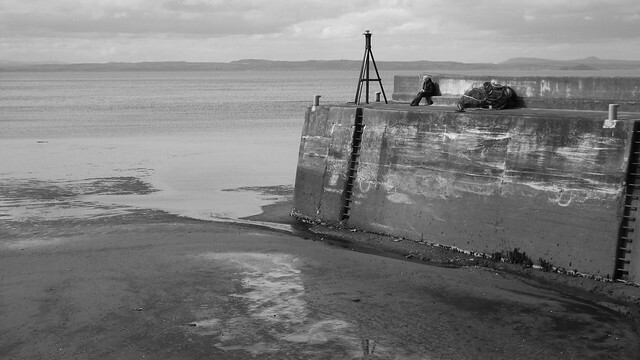 Part war memorial, part art installation, this is also a part of the Edinburgh Art Festival and will be moored in Leith for several weeks. 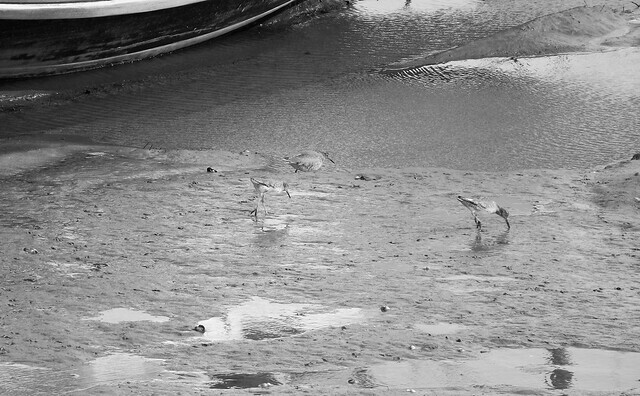 I’ve understood how the tides work since I was a boy reading my astronomy books, but even now as an adult I still find it a little bit magical that somewhere like a harbour can become absolutely empty of water, the boats left on the mud, high and dry, tilted over on their keels, awaiting the return of the water to float them again and make them useful. 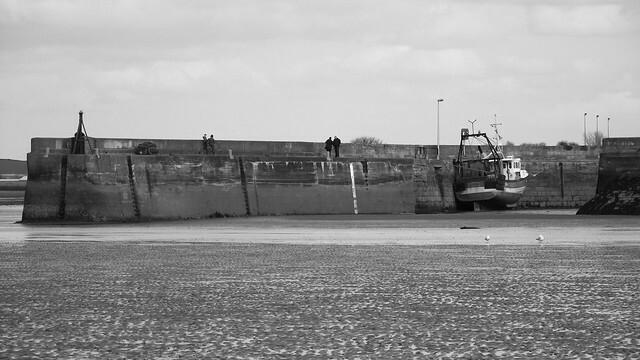 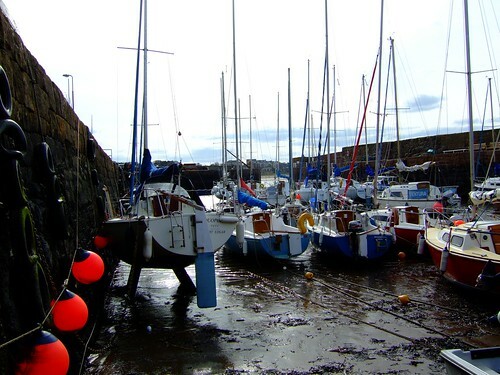 I could be wrong, but I get the impression that the tide may be out at this point… You can actually walk down the steps right into the wee harbour floor at North Berwick during low tide, although I don’t recommend stepping out much further than the base of the stairs as the muddy sand is rather sinky.